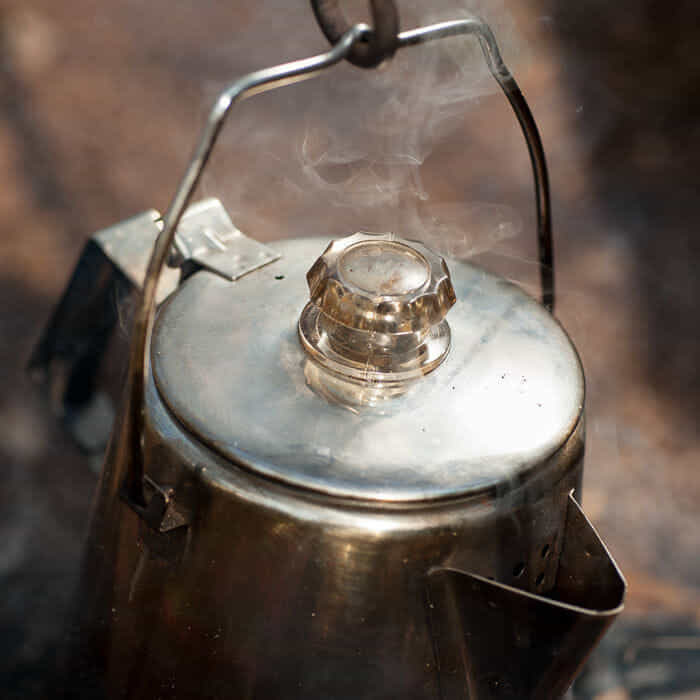 The GSI 8 Cup Coffee Percolator is an ultra-rugged piece of camp cookware crafted entirely from Glacier Stainless Steel, for years of unmatched taste and performance. 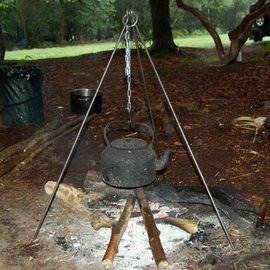 Ray favours the GSI range of coffee percolators for their build quality and durability, and you will also find them in use on our courses. 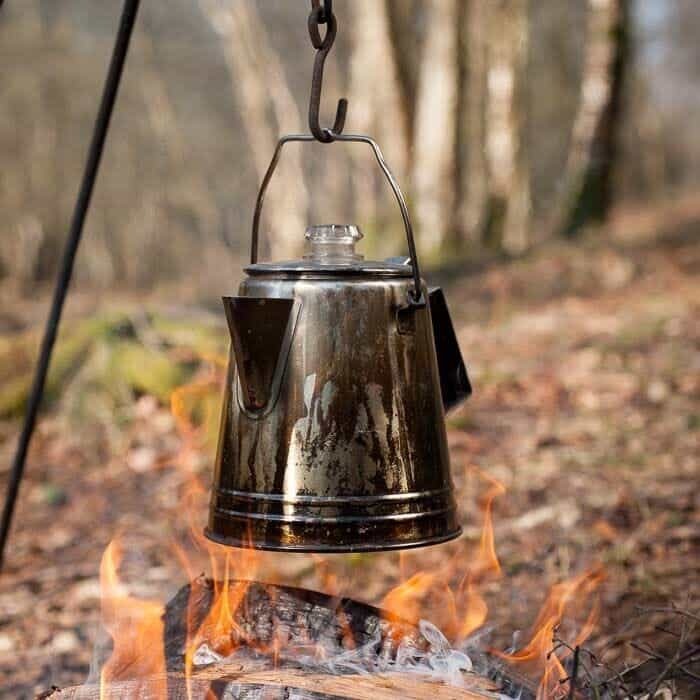 This percolator employs a classic design teamed with sturdy construction, resulting in a trusty piece of kit that will serve you well on endless adventures into the woods. 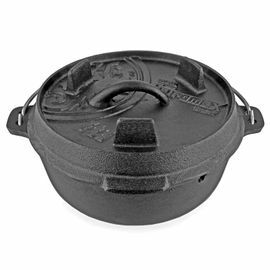 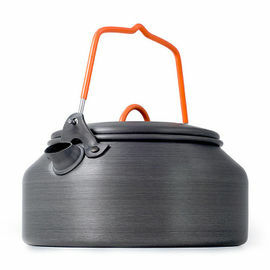 It features a hinged lid with a clear 'PercView' knob, a standard rear handle, a bail handle for suspending it above your fire and, of course, an 8-cup percolator insert. 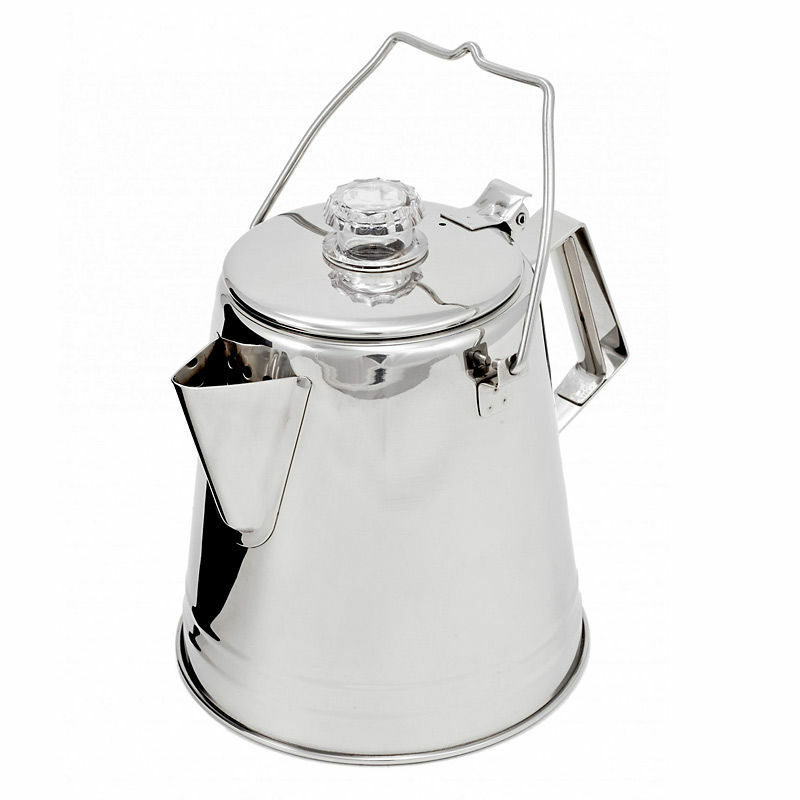 Made entirely from corrosion-resistant, marine-grade stainless steel, the GSI Percolator has been given a rust-proof finish and can be washed safely in the dishwasher. 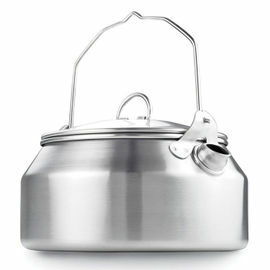 GSI Outdoors Glacier Stainless Steel 8 Cup Coffee Percolator is rated 5/5 based on 2 customer reviews. 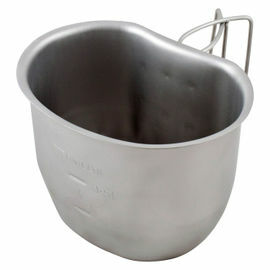 Wonderful product, excellent quality. 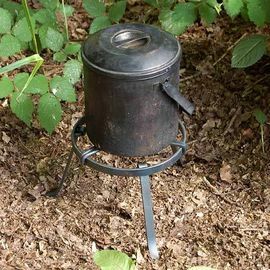 Does need coarsely ground beans, so buy yourself a grinder as well, or use as a mozzie head net to filter!